A very thin, very strong forged T9S+ clubface on the Ping G400 driver flexes more at impact for added ball speed. SPECS: 9.0° and 10.5° with Ping Alta CB55, Ping Tour 65 and 75, Aldila X-Torsion Copper, Mitsubishi Kuro Kage Silver Dual-Core TiNi or Project X HZRDUS Yellow shafts. RECOMMENDATION: Targets all handicap players who need a little help launching the ball high and hitting it straighter, even on mis-hits. 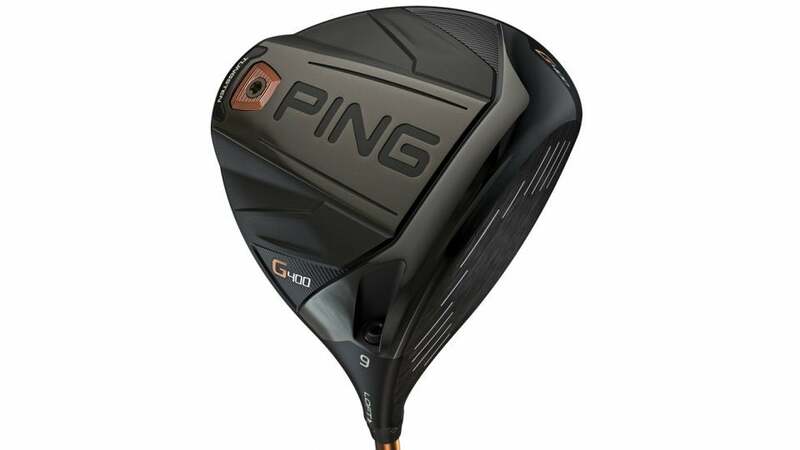 In case anyone hasn't noticed, Ping—without a lot of pomp and circumstance—has become one of the elite driver makers in the industry in recent years, offering a variety of innovative models that specialize in providing enhanced forgiveness, customizability and distance. The standard G400 has all the bells and whistles, as well as a more compact, 445cc clubhead, making it a top-notch, versatile option for just about any player. It's notable that the new line of G400 Ping drivers also features greatly improved acoustics for better sound and feel at impact. "Very forgiving fairway finder with a soaring, high-launching trajectory and mid-spin rates. More compact size appeals to some and can yield slightly faster swing speeds. Sound is much improved over past Ping G models, as is the overall look and performance."